It's been a thorn in any Android user's side, but finally the full Angry Birds game is now available on Android phones...only, not in the Android Market. 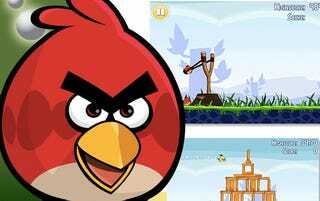 Instead, Rovio chose to release it, for free, on the GetJar store. Rovio said that it was an "obvious choice" of GetJar over Android's Market, thanks to the "global reach and popularity as well as their unique App It! download service."